I am so excited to announce that I have been asked to be a Guest Designer for the next UStamp Event “Oh My Word”. Just in case you are not familiar with UStamp, I took a small excerpt ftom the site to help explain. “The Oh My Word!! Edition 2011 event will include a different Color Combo with every project and by the end of the event, ALL 40+ of the SU! colors will have been used in a project. 40+ different projects with at least one word, with 40+ coordinating cards & envelopes, with PDF’s, in 20 days…you will be bursting with inspiration!! We are talkin’ reving your Creative Mojo to the MAX!! Seriously??!! This is a tremendous value that you CAN’T pass up! !” For more information about UStamp with Dawn and Friends, click here. I don’t have a card to share with you today, due to the fact that I have spent most of the weekend on the couch with a cold. 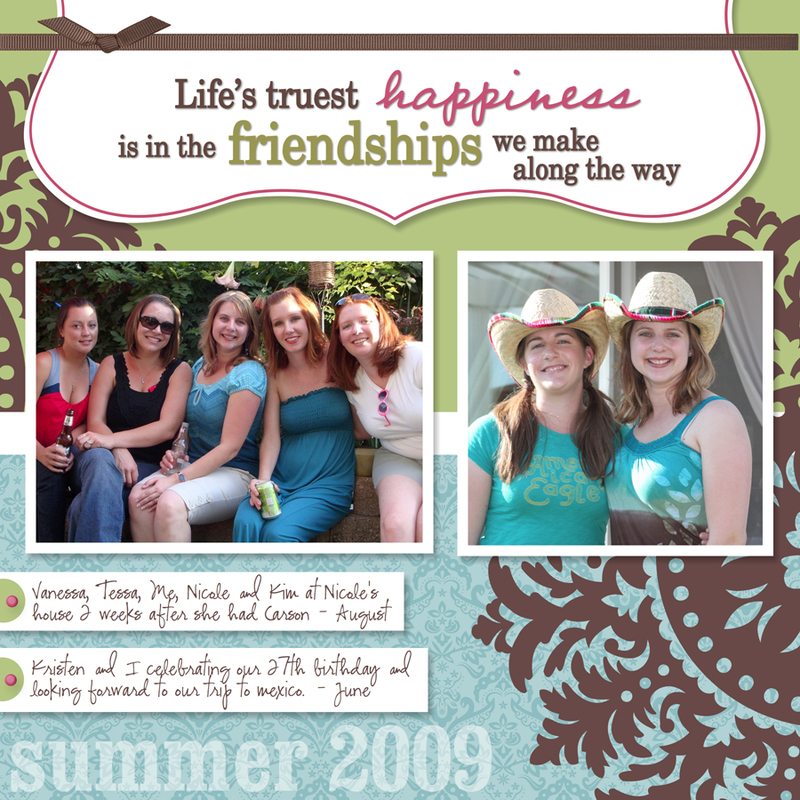 Although, I do have a scrapbook page that I made using My Digital Studio. My Digital studio is a digital papercrafting program that Stampin’ Up sells to create photo albums, calendars, cards and individual scrapbook pages. There is so much more you can do with the program, you just gotta see for yourself. There is an online community for My Digital Studio, click here to create a profile. You can also go to my Stampin’ Up website to learn more.